Tune in to this episode of Columbus! Something New to enjoy our interview with Victoria of Bottoms Up Coffee Co-op. 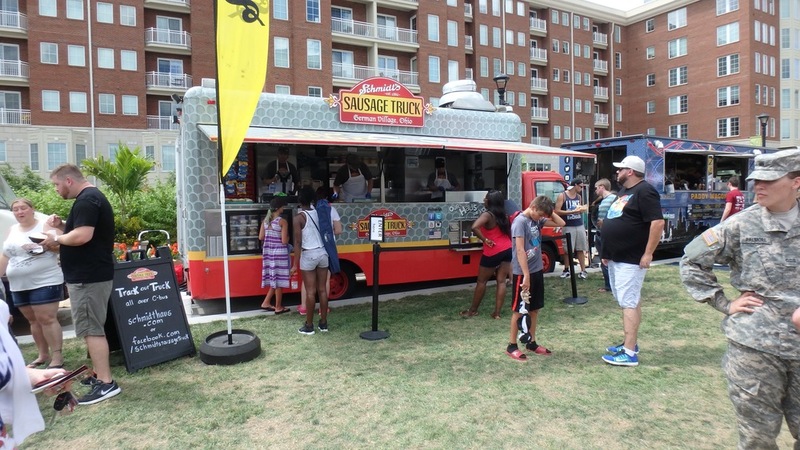 Chat about Sausage Party movie, The Columbus Food Truck Festival, and your Columbus itinerary. I am happy to introduce you to Bottoms Up Coffee Co-op located at 1069 W. Broad St. The vision of two sisters, Victoria and Virginia, Bottoms Up social mission is healthy babies living past their first birthday. It is a sobering fact, in Franklin County 2-3 babies die every week before their first birthday and, according to Victoria, that statistic is not getting better. 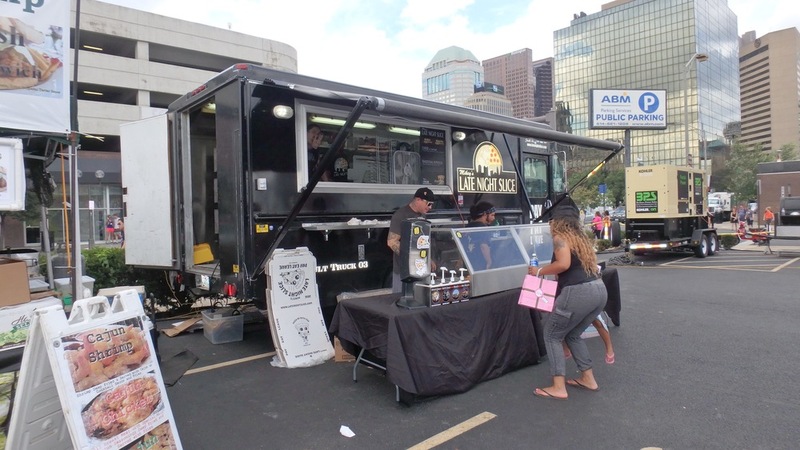 After pinpointing a need, developing a mission, and creating a business to serve the community, Victoria and Virginia have set the stage for co-op members to also connect with the community. And also in development, a CelebrateOne Connector Corps member will be available in the Bottoms Up Coffee Co-op! I would be remiss if did not mention their coffee! Locally roasted Brioso Coffee is served, and they also feature Canary Island style drinks: Leche y Leche (coffee with condensed milk) and Cortado (espresso with regular or soy milk). I hope you enjoy listening to the interview, and plan to stop by Bottoms-Up Coffee Co-op and say Hello to Victoria and Virginia, and by doing so, support babies in Franklin County! 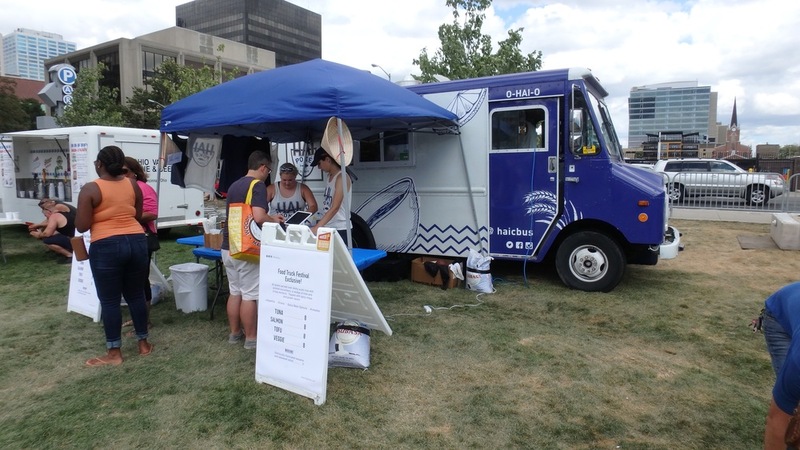 We took a walk through the Columbus Food Truck Festival before it rained. Which was not a bad rain because the heat was overwhelming. Before leaving the house we had lunch at Mezze, no surprise, so we were not hungry at the festival. Sadly a missed Schmidt's cream puff opportunity for me, and Mikey's Late Night Slice opportunity. And many others. Music was great, lots of space to roam and foot to select from. We met a super company, Elder Forest Soap, we hope to connect you with very soon!